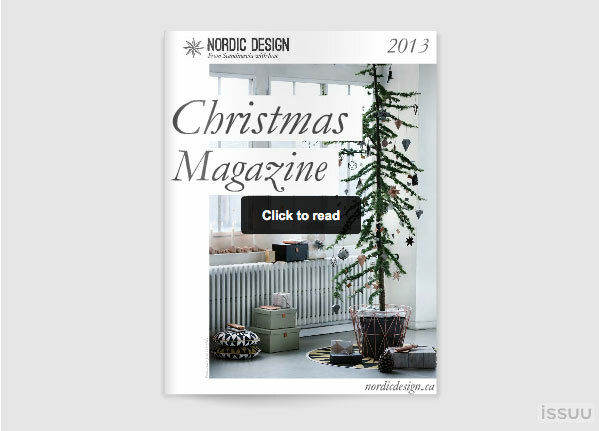 You are here: NordicDesign / Our 2013 Christmas Magazine is out! For the 2013 edition of Nordic Design’s Christmas magazine, I’ve gathered for you loads of inspiring ideas and collected them all in about 80 pages of holiday goodness. You will discover dozens of gifts ideas, décor inspiration, advent calendars, gift-wrapping, and much more! 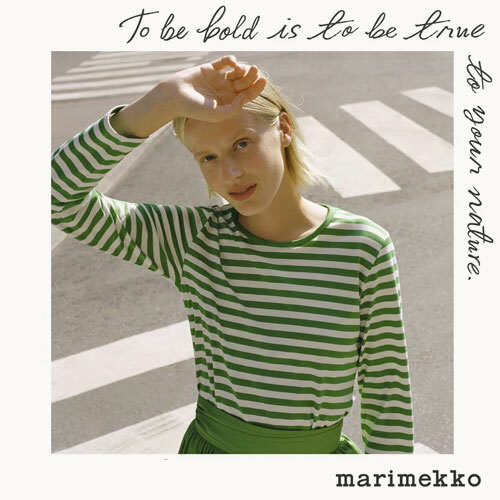 This year, I’ve reached out to Soffía Theódóra from Nordic Style Magazine to collaborate on an eight-page fashion spread for you to find a festive outfit this season. In the food section, Daytona Strong from Outside Oslo celebrates family traditions, as well as one of her Norwegian grandmother’s recipes. You’ll also be tempted to try two classic Finnish recipes from Maria Laitinen from Scandi Home, a Scandinavian glogg, and the delicious salmon sauce created by the grandmother of Swedish architect Johan Oscarson. How nice is that? I’m pretty enthusiastic about this year’s Christmas magazine, and I hope you’ll like it as much as I do! I wish you lots of love, joy and peace in the coming weeks. Enjoy the good times, great food, and the precious company of your treasured friends and family. It is stunning, inspiring, gorgeous! I hat to share it on my blog immediately.